This morning I noticed that my cilantro has been growing quite nicely with the relatively cool weather that we have been having, so I decided to pick a bunch to make Chimichurri Sauce. (Once it gets hot, cilantro goes to seed quickly.) Chimichurri Sauce is an Argentinian condiment that is traditionally served on grilled meats, especially grilled steak. It can also be used as a marinade, dipping sauce or salad dressing. Shown above, I have served it on a grilled portobello mushroom with salad greens and avocado. Yum! I hope that you enjoy the recipe! 1. Wash cilantro and remove any large stems. Blot leaves dry with a paper towel. 2. Place cilantro, garlic, onion, and Fresno pepper in a small food processor. Pulse until ingredients are finely chopped. Transfer ingredients to a medium size bowl. 3. Stir in olive oil, lime juice, and salt to taste. Refrigerate until serving. Variations: Substitute flat leaf parsley or spicy oregano for part or all of the cilantro; substitute lemon juice or red wine vinegar for the lime juice; substitute red pepper flakes for the Fresno pepper; add cumin, thyme or paprika; add tomatoes or red bell peppers. 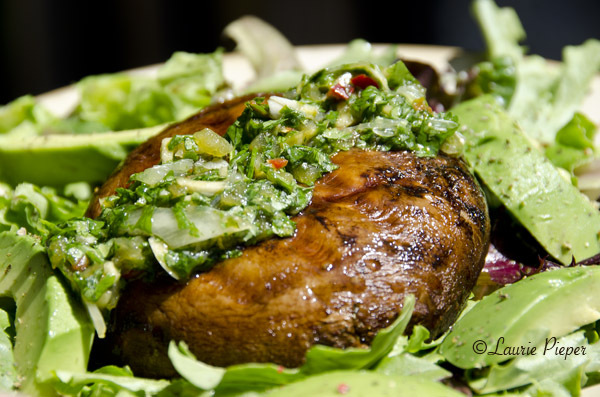 This entry was posted in Savories and tagged Argentinian Food, Chimichurri Sauce, Cilantro, Fresh Herbs, Gluten-free, Latin American Food, Portobello Mushrooms, Recipes, Sauces, Vegetarian. Bookmark the permalink. Perfect timing. We will be serving skirt steak Cuban style to friends soon and this will be the perfect condiment. Wonderful! I hope that everyone enjoyed the meal! 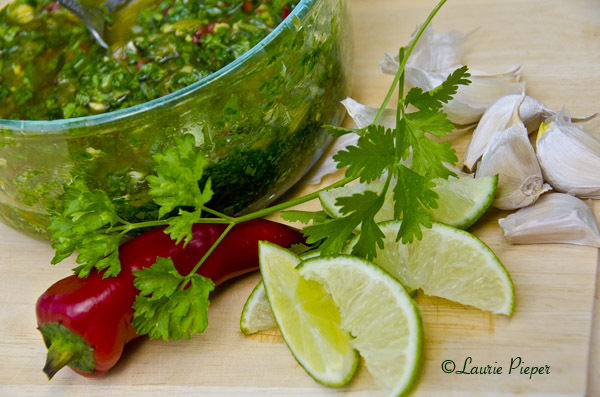 I never had this sauce though I do love cilantro and am growing it for summer cooking! Hi, Bernice. If you like cilantro, you would probably like this sauce. Isn’t it wonderful to have fresh herbs in your garden! am copying the recipe! I know I’ll enjoy it. 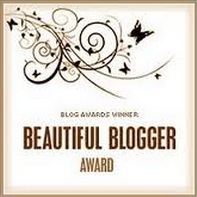 Thank so much! Thank you, Amy. I hope that you do enjoy the sauce! The problem I have with chimichurri sauce….I over eat whenever I have some on the table! Lovely post!